This table introduces industrial style to your dining space. It features a faux tin look top that is made of paint grade materials with mottled finish that is complete with rivet details. The table's apron and tapered legs are finished in burnished brown for a two-tone effect. 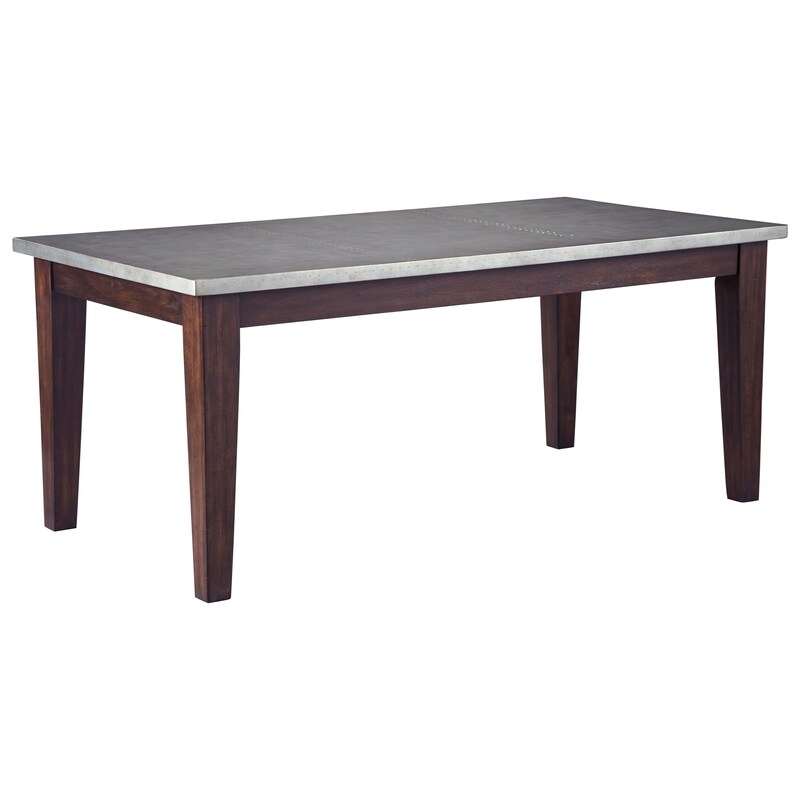 The Larchmont Rectangular Dining Room Table with Metal Look Top by Rooms Collection Three at Rooms Furniture in the Houston, Sugar Land, Katy, Missouri City, Texas area. Product availability may vary. Contact us for the most current availability on this product. Case Construction Made with select veneers and hardwood solids. Finish Rich dark brown finish. The Larchmont collection is a great option if you are looking for Casual furniture in the Houston, Sugar Land, Katy, Missouri City, Texas area. Browse other items in the Larchmont collection from Rooms Furniture in the Houston, Sugar Land, Katy, Missouri City, Texas area.